Portuguese flare is found all over the streets of Macau. 1. The Portuguese influence: Throughout Macau you will see tiled floors, round-a-bouts with beautiful gardens, blue tiled Portuguese street signs, tiled streets, and much more. The Portuguese history of Macau can be seen almost everywhere on the streets and is a great break from the ordinary Asian scenery for those that have traveled or lived extensively in Asia. Gardens in Macau are found throughout the city. 2. Gardens in Macau: After walking a few streets down from my apartment I discovered about 3 different garden areas. One of them, Jardim da Flora offers playgrounds for kids in Macau, walking paths, and even a cable car that will take you up to the top of the mountain. On a clear day the views of the city are beautiful and you forget the chaos of the bustling city below. Macau is made up of two islands called Macau and Taipa. 3. The Island Life: Macau is no tropical getaway by any means. But, there is a sense of excitement from going across one of the 3 massive bridges that connects Macau and Taipa Islands. During one day in Macau, I found myself going back and forth between the islands over 5 times between work, restaurants, and different friends apartments. Going back and forth between Macau island and Taipa island becomes a standard occurrence for most locals and especially for tourists who want to see hotels which are located throughout both islands of Macau. Fresh papaya is always available in Macau. 4. The Fresh Fruit: Something that I couldn't often find in Korea and Japan was amazing and cheap fresh fruit. 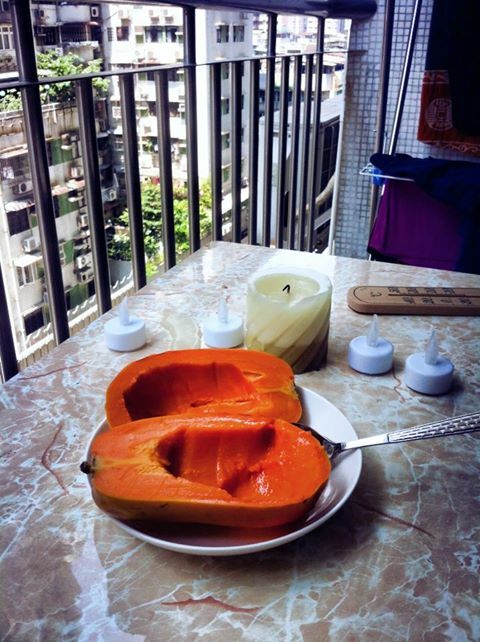 Here in Macau because of our close proximity to Philippines we get a ton of imported papaya and mango. I found my fruit bowl loaded with beautiful pink dragon fruit originating from central america and grown throughout Asia and purple mangosteen from Indonesia. Try ordering some live frog for dinner! 5. Exotic Chinese Food: When my friend told me we were going out for Chinese frog hot pot I immediately said yes! I couldn't wait to eat some fresh frog meat as the first time I tried frog legs in France I fell in love with the soft and fishy-like qualities. Little did I know that our frog meat would be served raw and alive, just like my live octopus experience in Korea. 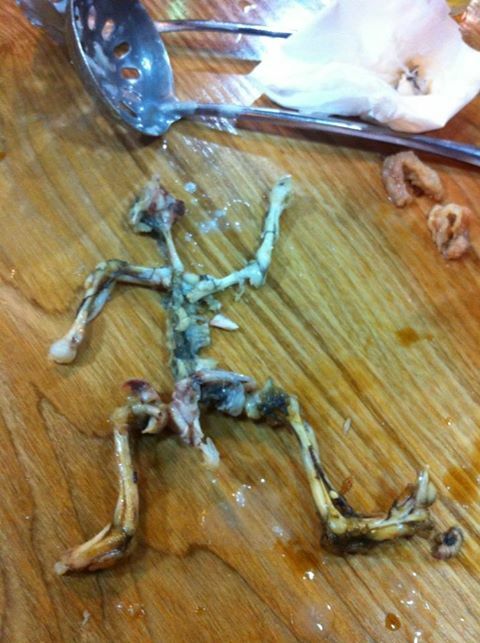 I will post a live video of the twitching frog legs being dumped into the hot pot for dinner later on. 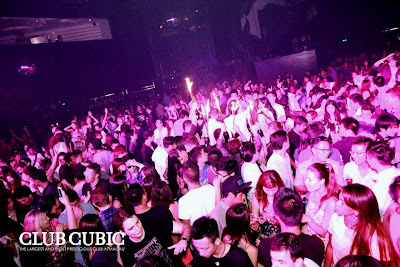 Photo Courtesy of Club Cubic. 6. 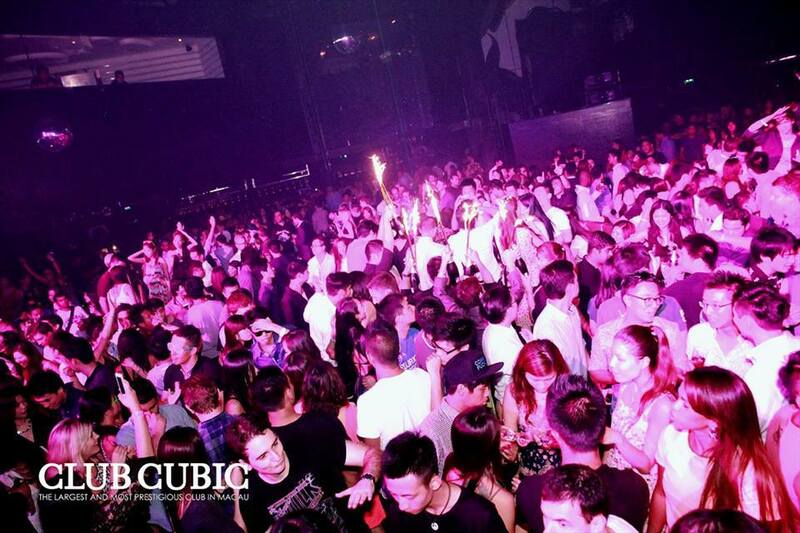 The all night hotel club scene: If you are coming to Macau to party there will be no shortage of party goers inside the hotels most elite clubs such as Cubic, D2, and D3. You will find great DJ's playing the newest music from around the world and some amusing dancers and singers trying to take their best stab at Western music. You will not often see party goers mixed with gambling as the gamblers are quite serious. 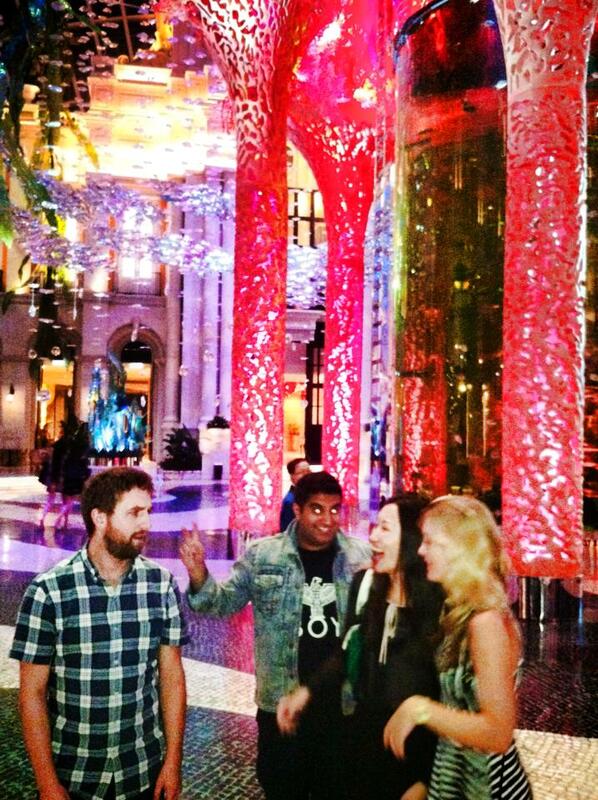 And you definitely don't compare Macau to Vegas as drinking is not seen as openly on the streets here as it is in Vegas. But, enter any hotel bar or club and you will see the night life come alive. Get touristy at the Ruins of St. Paul's church. 7. The Historical Churches: Every step you take you will bump into a Western Church of some kind. They will be practicing or not and in beautiful condition as they are one of the main tourist attractions of Macau. The picture to the left is of course at the famous Ruins of St. Paul's which is just a remaining facade of the old church. Everyone who comes to Macau must have their picture taken at the historical monument which rests at the top of Macau's most famous shopping area Senado Square. The tiled streets are lined with hundreds of shops and restaurants that give an addictive old fashioned Europe flavor. You may even forget that you are in Asia at all, until you look around and take in all of the glowing neon signs and Asian lanterns. Offerings on the sidewalks of Macau during ghost month. 8. The Hungry Ghost Festival: Are they having a bonfire in the middle of the sidewalk? Every year in China around August or September you will see people burning fires in little red metal boxes on the street and throwing in fake paper money. They will also leave candles and food as offerings to their ancestors. During this one month period it is believed that the ghosts of everyone's ancestors return to the earth and without giving offerings, people may be haunted by the ghosts. Don't be alarmed if you walk outside and see blazing fires in the middle of the sidewalk. Families will gather together throughout the month to offer up gratitude and thanks to their lost ones. A peek inside the MGM Grand Hotels ocean themed room. 9. Luxurious Hotel Life: Get dressed up and wander around one of Macau's top hotels such as the The Venetian, MGM, Hard Rock, or Wynn. There is always a show or event going on somewhere and you can have a great night out shopping, fine dining, or just walking around witnessing the beautiful hotel displays. The MGM is known for its dazzling underwater glass display with its pink coral pictured to the left. There is always something new to see or discover as you get lost inside some of the biggest hotels in the world. Did you know that The Venetian in Macau remains the largest casino in the world? Bet on a dog at Macau's greyhound racing track. 10. 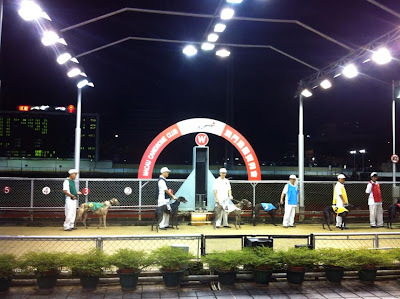 Macau's Greyhound Racing: Though you might not be a fan of greyhound racing due to the unfair treatment of dogs in some countries, Macau has an old race track with cheap admission of only about $1 USD where you can take part in betting on the fastest dogs. Truly a unique experience, the track is full of older generations who spend their evenings dining in the restaurant as they look for the fastest and most fit dogs to bet on. This is a unique part of Macau that is often overlooked by tourists and is more of a local scene. I have been reading your blog for some time now and truly enjoy hearing about your experiences teaching and traveling around Asia. I am a masters degree student in Taipei, Taiwan and can't wait to finish my degree and venture out to other areas of the orient. I still love your blog and today's post has piqued my interest in making a trip to Macau in the near future. Keep telling great stories!